Renate Zangl, PhD, is a developmental psycholinguist with a deep interest in how infants and toddlers acquire language and communication skills. 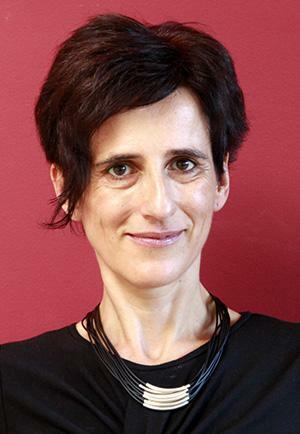 She has more than 15 years of experience in research in early language learning and has worked at various research institutions in the United States and Europe, including Stanford University; University of California, San Diego; Graz University, Austria; and Laboratoire de Sciences Cognitives et Psycholinguistique, Paris. Zangl has worked (and played!) for many years with young children when they first start to communicate, understand, and talk, and with bilingual children, children learning a second language in their school years, and children with special needs. Her work has been published in numerous books and peer-reviewed articles in eminent language journals (Language Learning and Development, Infancy, Journal of Cognition and Development, and more), and she has given presentations at national and international conferences. Watch Dr. Zangl discuss how to encourage language with infants and toddlers with this webinar. Viewers who join our edweb.net/bookchats community get a FREE CE certificate!